Camera+, a popular iPhone application, was pulled from the App Store after it violated Apple's developer agreement terms and secretly allowed users to use a physical volume control button as a shutter button to take pictures. Earlier this week, before the app was completely removed from the App Store, developer tap tap tap said that they had previously attempted to add the ability to use volume controls to snap photos to their application Camera+. Apple rejected the feature, dubbed "VolumeSnap," because it uses the volume buttons in a "non-standard way, potentially resulting in user confusing," the company said. "While we're disappointed with their decision, we're at least happy that they're being perfectly clear about the exact reason for the rejection and that they're being consistent about it," the developer said. "I was told that overriding the volume controls is one of the most common reasons for app rejection." Tap tap tap has remained silent, however, since Camera+ was removed from the App Store this week. Apple yanked the software after the company, via Twitter, informed users how to enable the volume shutter button feature via a workaround. The feature could be enabled by entering a URL into the Mobile Safari browser on the iPhone. The offending post on Twitter has since been removed. 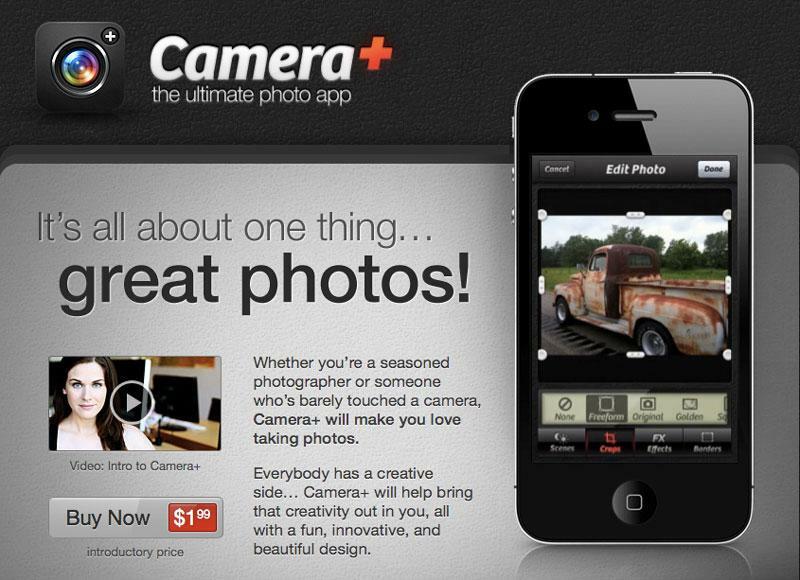 The company's official blog was last updated on Tuesday, touting strong sales of the Camera+ application. In its first month, the photography app earned $253,000 in sales, and sales increased in the second month to $254,000. "So after two short months in the App Store, Camera+ has pulled in a whopping half a million dollars," wrote John Casasanta, head of tap tap tap and creator of the MacHeist promotion. "Needless to say, we couldn't be more pleased." This isn't the first time that Apple has had to remove an application from the App Store that included a hidden "Easter Egg" allowing functionality that was not publicized. Last month the company removed an application that presented itself as a flashlight app, but it also included a hidden SOCKS proxy that could be used for tethering a 3G data connection.